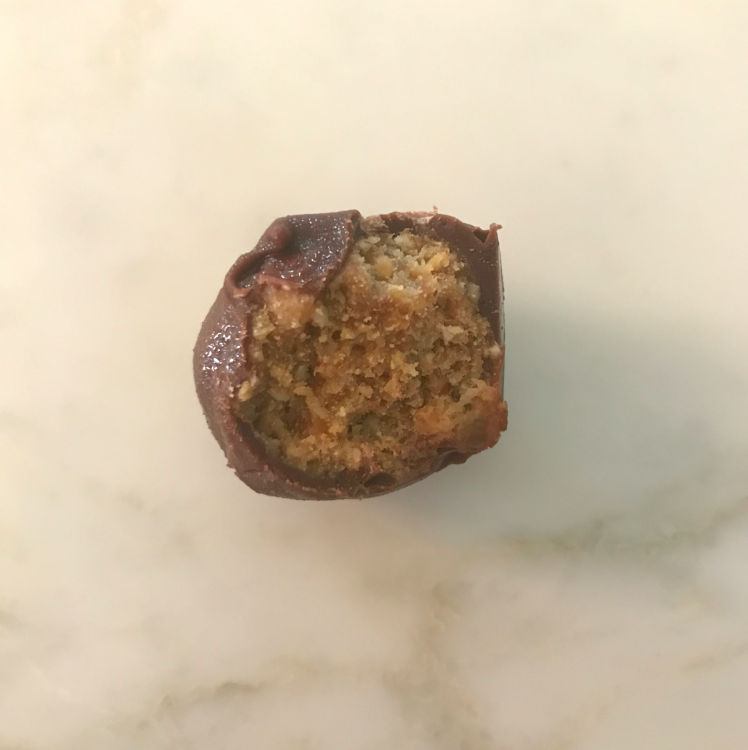 Thanks to Instagram, I saw a recipe for a peanut butter pretzel truffle from Minimalist Baker and knew I had to make it. The recipe is simple, easy, and a huge win. * Place almonds in the food processor and process until you reach the consistency of a meal. * Then add in pretzels and soaked dates in the food processor and process until small bits remain and/or it forms into a ball. * Next, add the peanut butter and mix until well combined. You don”t have to do this in a food processor, and can really just mix it in with a spoon. 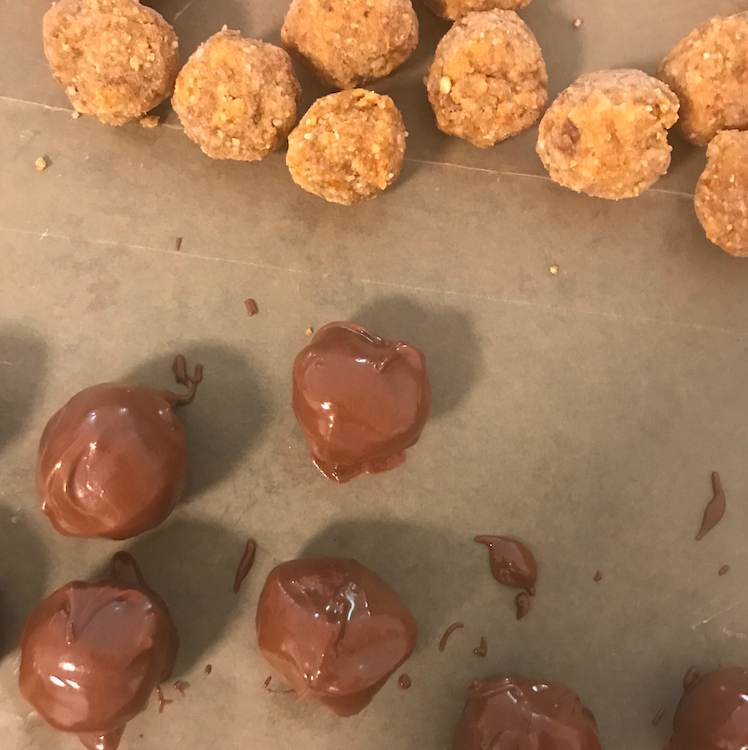 * Once you have a dough that’s easy to form into balls, scoop out 1 Tablespoon amounts and roll/carefully form into balls. Set on parchment paper and place in freezer to chill. * In a double boiler, melt the chocolate and add the coconut oil (which helps thin out the chocolate). 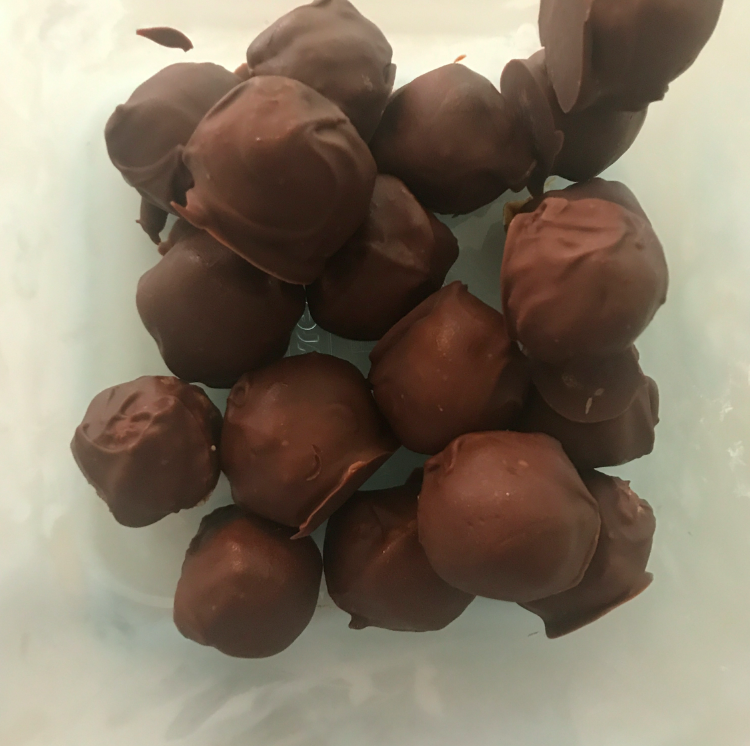 * Remove truffles from freezer and, one at a time, dip them into the melted chocolate. Transfer back onto parchment paper and place in to the freezer. * Store them in the freezer until you eat them (or else they will melt — they will still be delicious, but they will melt). They will not last long, mainly because you will want to eat them right away. Happy weekend! Spring here we are, thank goodness! Yum!!! I want to make these soon. They look delicious!! I will be making this soon, too!